The 2014 Assembly was held on 31 October. It brought together politicians and invited guests to explore themes raised on the Campaign Trail around Scotland during the summer. Through workshops, SOPA’s recent activities were discussed and propositions were made as to what needs to be done to ensure older people’s concerns are taken seriously and changes set in motion. Recordings of proceedings in the Chamber and in the Committee Rooms are available online at the Parliament TV archive. The webcast and recordings of presentations and questions in the Debating Chamber are available online. Click here for morning session. The afternoon workshop sessions are also available there. 2014 Assembly in the Debating Chamber. Click on the links below to view workshops. SOPA 2014 Report Read about the year's activities and the Action points from the 2014 Assembly. 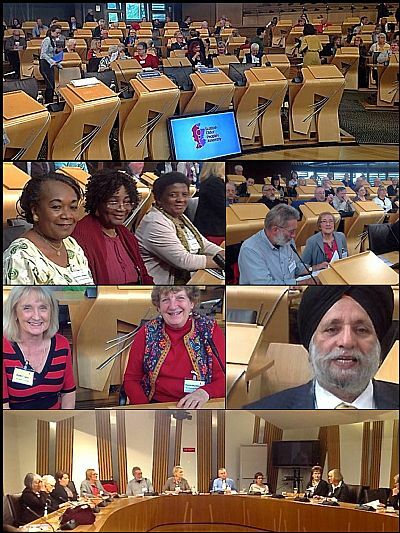 Watch the 2 minute clip on STV News: Committee members Donald Macleod, Betty Milton and Tim Puntis state what they believe to be important and SOPA chair Tom Berney talks about the recurring themes that have arisen in dialogue with older people around the country and his hopes for the Assembly. Read the Scotsman Article on the Assembly. Shona Robison has vowed to fight for fairness for senior citizens. "In seeking to harness empower older people, we must do all we can to ensure their rights are fully protected, respected and realised." Read the Sunday Post article on the Mentoring project involving older adults. 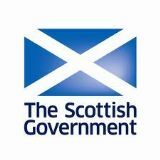 Tom Berney said: “It is vital that children throughout Scotland get this chance to benefit from older people’s skills and experience. It needs to be available to all pupils.